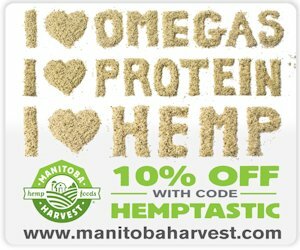 Hemp is perhaps the noblest crop in the world with literally thousands of possible uses that don’t even include the use of the intoxicating varieties or their ever increasing medicinal counterparts. Another use for this wonderful plant (which for much of the past hundred years or more has not been fully exploited or even taken advantage of) Would be the use of the fibers to create clothing and wearable items. Including but not limited to shoes, hats, pants, belts, shirts, dresses, wallets and an enormous variety of bags and jewelry. The use of this fibrous plant to produce clothing and other wearable goods is far from a new idea, the use of this particular plant dates back several millennia. Indeed, a piece of fabric found in Mesopotamia was dated to 8000 B.C. that would make it the earliest evidence of human clothing in history and the oldest sign of any human industry for that matter. But even before the invention of writing and recorded history, the existence and utilization of this useful weed along with its uses and benefits were widely known to the people living in the Neolithic Age. That all changed when the recreational uses for the Cannabis plant became more widely criticized, and the perception that it was vile and immoral was unleashed upon the mainstream Western society. That particular use not only overshadowed all other areas of this industry. But also, it created a moral pandemic which stemmed from almost every stratum of the Western society. And culminated in regulations that would cripple the widespread use and acceptance of this innocent plant for nearly all of its potential uses for decades to come. In the United States, the most detrimental piece of legislation enacted was the Marihuana Tax Act of 1937 which imposed heavy taxes on anyone commercializing or distributing this product, essentially decimating this industry. The actual reasons for the implementation of this act are now widely accepted. That, Hemp threatened the commercial interests of a few great corporations and some of the richest men in America at that time along with the introduction of synthetic fibers such as nylon. These motives have been proven to be so true that the Marihuana Tax Act was ruled unconstitutional by the United States Supreme Court and was replaced by the Controlled Substances Act of 1970 . The primary objective was geared towards curtailing and fighting the recreational consumption of Marijuana, not so much as abolishing its non-intoxicating cousin. Regardless, the growing of these invaluable crops would still remain outlawed. This practice would only start to change within these recent years, when several states in the US legalized the cultivation of this industrial crop. However, its cultivation is still widely un-grown thanks to the DEA whose approval is still a mandatory requirement for every state. and the Drug Enforcement Agency continues to drag its feet and set up roadblocks wherever possible when it comes to planting and cultivating this super plant. But finally some states are starting to see some success in their quest. Farmers in Colorado were finally allowed to plant the first hempen crop to be grown in the United States in excess of 50 years. There are several benefits and advantages to using these fabrics for clothing and other wearable accessories and textiles. First we can mention some of the practical advantages: The fabric is very durable and is known to be the strongest natural fiber on the planet next to spider silk. These qualities make fabrics derived from this source physically resilient to the roughest use and very machine washable. Despite its durability, these materials prove to be soft and when it contacts the skin of the wearer it provides a very nice flowy and comfortable sensation, very similar to linen or silk. Also, clothing constructed from this material can block up to 95 percent of the suns harmful UV rays. Fabrics created from this plant seem to be especially attractive for use in blankets, comforters and sheets. There seems to be a rather large demand for this kind of products, and are often described as more comfortable as if they breathe. The fibers are also porous or hollow which is to say such items crafted from this material will remain cooler when it is hot and warmer when it is cold. From an environmental standpoint, growing this crop offers several serious advantages which become extremely evident if we compare Hemp to pretty much any other textile plant harvested right now. This ecologically beautiful plant requires very little to virtually no fertilizers, pesticides or herbicides (it actually out competes any nearby noxious and unwanted weeds present). When compared to the most widely used textile crop in the world, (which is Cotton) the advantages offered by Hemp are staggering. As much as 25 percent of the world’s annual use of herbicides, pesticides and fertilizers are expended upon cotton alone. Plus these crops only require a small fraction of the water to grow when compared to cotton. And the fibers are so much stronger (5 times) and significantly more durable than cotton or any other natural fiber for that matter, as I mentioned above. In addition to all these advantages, growing this crop is very cost-effective as it yields as much as four times more fiber than other conventional textile plants, and it grows 150 times faster. Every part of the plant can be used. The fiber can be used for textiles and paper. The seed for food, oils and fuels. The inside hurd is great for use as building materials, livestock bedding, is highly biodegradable and great for use in composting and the uses are literally endless.